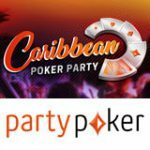 The Winter Winners Calendar is now running at Party Poker with over a million Euros in cash, tournament tickets, Freebets, freeolls and bonuses to be won until the 25th December. Win a prize daily by logging in and opt-in for the promotion, prizes include: Power Series tournament tickets, cash up to $100 and bonuses for casino & sport. Everyday is Christmas day this December at PartyPoker, unwrap your presents to claim your daily Xmas surprise gifts and win big. Also running this December is the Party Poker Gladiator promotion, win up to $4,000 playing your favourite poker games. 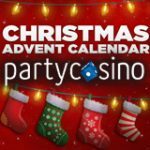 The Party Poker Christmas Advent calendar is now running with over a million Euros in cash and prizes to be won between 1-25 December at PartyPoker. 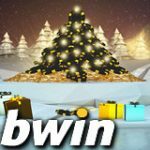 To claim your free daily Xmas gift simply login and opt-in for prizes in the Winter Winners calendar promotion you won't need to wait till Christmas day for Santa to bring you presents. 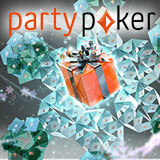 If you have not yet signed up to PartyPoker, signup today and claim your daily Winter Winners Calendar prizes. Tournament tickets are valid for MTTs, Power Series tournaments or Dusk till Dawn Grand Prix Poker Tour. Bonuses and freebets have wagering restrictions, complete the requirements before cashing out your winnings. 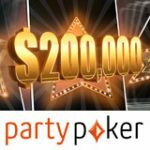 The new addition to the tournament schedule is the Party Poker Power Series tournaments a series of events for players of all different stake levels. 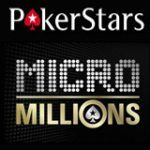 There is over a million dollars in guaranteed prize pools each month spread across 158 scheduled events.